True Visage is an unique mirror app. Unlike other apps of the kind True Visage provides you not only with a common mirrored picture, but also with a real un-mirrored image and video of you. Now you can see yourself through other people's eyes! 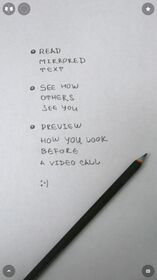 Check your looks before an important meeting or making a video call on FaceTime, Skype, Facebook or dating websites. 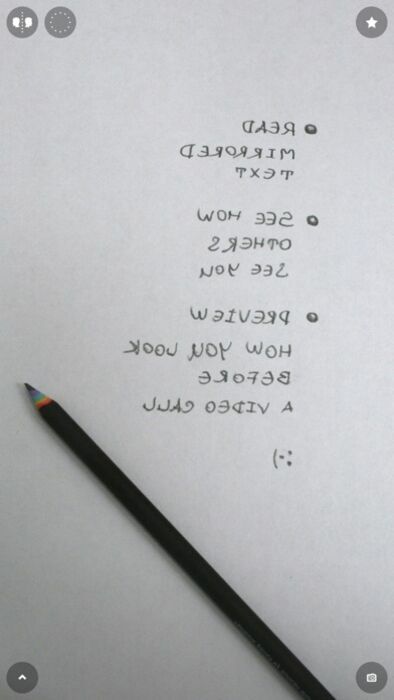 Make both mirrored and un-mirrored pictures and videos. Take pics for your profiles on Facebook and other social networks and stay cute in any life situation.